No comprehensive transit proposal will ever be perfect and tradeoffs are made to ensure that goals are prioritized appropriately. 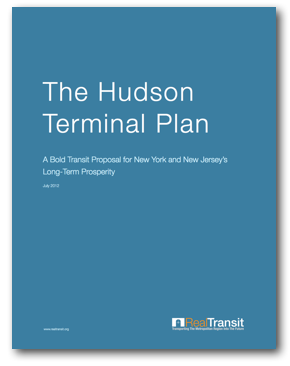 The following section will attempt to address several potential criticisms, explaining why certain choices were made in designing the Hudson Terminal Plan. One potential criticism of the Hudson Terminal Plan is the choice of location of Hudson Terminal at the western end of 14th Street, in a relatively unpopulated area of New York City. 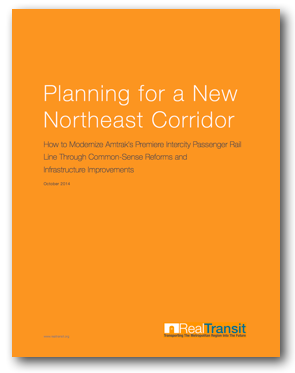 In addressing this potential issue, it is important to confront the premise of this criticism, that it is preferable to locate transit hubs within dense commercial districts. In 1871, when Grand Central Depot opened at the intersection of Park Avenue and 42nd Street, the city’s central business district was miles south of the station. It was so far removed from the center of the city that cows roamed in pastures surrounding the station. Placing the station downtown would have, on its face, made more sense given the large number of businesses and residences located below 14th Street at the time. However, in doing so, there would have been no room to accommodate the 48 acres of underground tracks and platforms that the terminal’s footprint would eventually occupy. 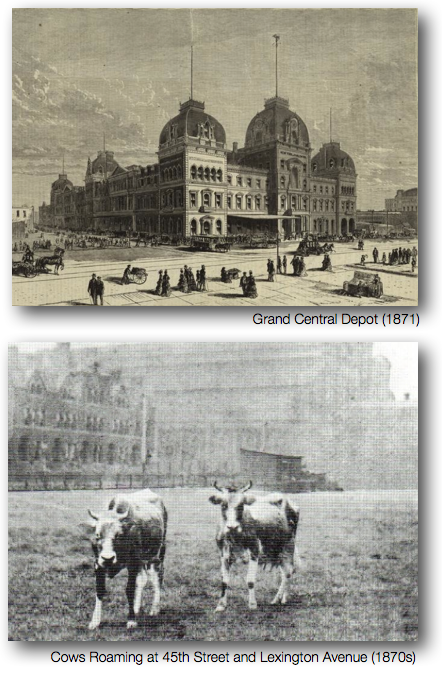 Once Grand Central Depot opened its doors, the central business district began moving north. By the time it was replaced with Grand Central Terminal, it was clear that the transportation foundations for a vibrant business district were already laid and buildings began filling the surrounding blocks in the subsequent decades. The real reason for Grand Central Terminal’s lasting success, however, is its incorporation of several mass transit connections. Prior to the subway system, elevated trains and light rail serviced Grand Central’s predecessor stations. Eventually, the IRT Lexington Line, shuttle service to Times Square, and the IRT Flushing Line were built. Since the majority of people traveling to Grand Central Terminal today do not reach their ultimate destination by walking, the availability of convenient mass transit connections has become much more significant in the station’s long-term success than its location within a central business district. Transit hubs throughout the world have also thrived without residing in close proximity to dense commercial districts. For example, Paris’s Gare du Nord—Europe’s busiest rail station serving close to 200 million passengers annually—is not within walking distance of a single building taller than ten stories. It is, however, within walking distance to several key mass transit lines. In the converse, just because a transit hub is placed in the center of a commercial district does not guarantee that it will endure lasting success. 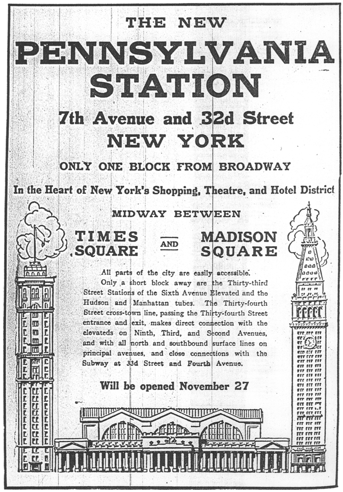 For instance, when the site for Penn Station was chosen, it was advertised as being in the center of New York’s shopping, theater, and hotel district, and at the time, it was. However, growth in the blocks surrounding Penn Station has been sluggish for the greater half of the last century. The neighborhoods from 27th to 37th Street, 9th to 6th Avenue, have developed at a much slower pace than the Financial District, Civic Center, Midtown North, and Times Square, all of which are not within walking distance of a transit hub. New construction over the last 30 years has been few and far between, limited mainly to the 6th Avenue residential corridor. This lack of development, however, has not stopped Penn Station’s ridership from growing. Instead, as is the case for Grand Central Terminal, the majority of people traveling to Penn Station connect to other modes of transportation to reach their ultimate destination. 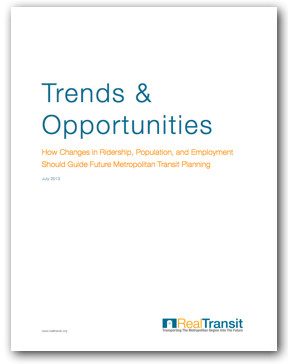 As the city’s history has demonstrated, when selecting a location for a transit hub, it is far more important to provide convenient connections to mass transit lines that transport people to commercial districts than simply placing a transit hub in the center of an already bustling commercial district. The location of Hudson Terminal will provide NJ Transit and Amtrak riders access to several new mass transit options. The extension of the 7-Line Subway to Hudson Terminal will provide a one-seat ride to the new Hudson Yards business district, Times Square, Bryant Park, Grand Central Terminal, and Long Island City. Further, the L Line Extension to Hudson Terminal will provide a one-seat ride to the 14th Street business district, Union Square, and Williamsburg, Brooklyn. In addition, by constructing Hudson Terminal on reclaimed land adjacent to a growing commercial district, as opposed to within an already established commercial district, there is both room to construct a robust station without having to raze private property and room in the surrounding neighborhoods for developers to plan new real estate opportunities.